250 pp. Spine uncreased, close to new. Only markings are a bookstore stamp and price on inside front cover. An English professor working for the summer at a Montana dude ranch has a mystery on her hands -- is a bear or a human killing off the tourists? Romance with a scientist is woven in. 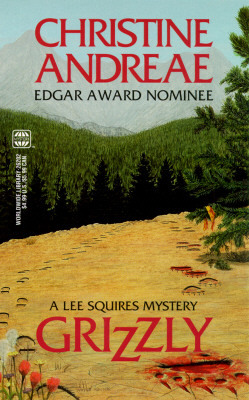 A Lee Squires mystery. Keywords: BEAR. DUDE RANCH. MYSTERY. MURDER. MONTANA. LEE SQUIRES.